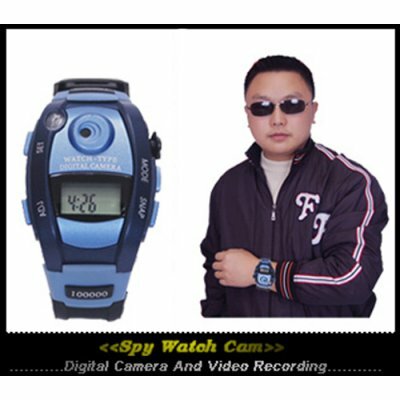 Successfully Added Wrist Watch Camera to your Shopping Cart. Use this brand new covert wrist watch digital & video camera to take pictures or video of other people and they won't know that you are doing it!!! It is a wrist watch with a secret digital camera and video camera built-in. It will take up to 312 full color, excellent resolution photos or about 90 seconds of video. It comes complete with software and a USB cable to connect it to your computer for downloading. Watch Camera - product box contents.